OLYMPIA, Wash. (Legal Newsline) – A First Amendment advocacy group's amicus brief and more details from Washington's attorney general are among recent filings ahead of Friday's hearing over a possible punishment for longtime conservative activist Tim Eyman. 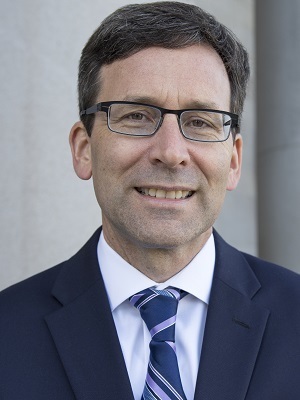 In its amicus brief, the Institute for Free Speech, based in Alexandria, Virginia, called the requested ban by Attorney General Bob Ferguson "nothing short of a prior restraint on protected First Amendment activity." Ferguson's office says it wants to prevent Eyman from handling the finances for political groups - something Eyman feels essentially bans him from any activism. 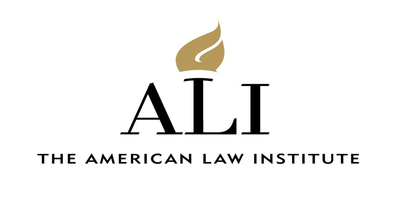 The institute, previously called the Center for Competitive Politics, is best known for its work culminating in the 2010 U.S. Supreme Court ruling in Citizens United v. FEC. Meanwhile, Ferguson released more details about his allegations against Eyman in his opposition to Eyman's request to Thurston County Superior Court Judge James Dixon for summary judgment in the case. In that opposition, Ferguson claims Eyman took hundreds of thousands of dollars from political groups, violated campaign-finance laws and then lied about it. More than $2 million in penalties is at issue in the case. Eyman is accused of moving funds between two initiative campaigns and pocketing money from a signature-gathering firm. Washington election law allows movement of funds between political committees but requires the transfer be reported to the state's Public Disclosure Commission, which Eyman is alleged to have not done. Ferguson's office declined further comment about the recent filings headed into Friday morning's hearing before Dixon. "The briefs speak for themselves," Washington Attorney General Communications Director Brionna Aho said in an email to Legal Newsline. Eyman is nervous about the hearing, he told Legal Newsline in his own email. "I'm confident the attorney general's lifetime ban is unconstitutional but since I'm not legally represented, I'm very nervous and stressed," he said. "Because of my bankruptcy, the attorney general bullied my previous attorneys so I am forced to argue the motion myself. I'm not a member of the legal fraternity and so I will clearly be severely disadvantaged. I hope the absurdity of the attorney general's lifetime ban will make up for my lack of legal skills." Eyman and Ferguson agree that Dixon is being asked to levy a lifetime political ban on Eyman. What they don't agree about is the nature of that ban. In his litigation against the anti-tax activist, first filed in 2017, Ferguson asked that Eyman be banned for life from ever again "managing, controlling, negotiating or directing financial transactions of any kind for any political committee in the future." Eyman countered in a reply filed with the court that the letter of that requested ban belies its spirit, which is to punish him and end all his political activity in Washington. 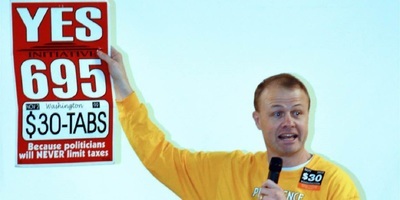 "The state's proposed punishment ... guarantees nothing illegal will occur because the only way to guarantee not running afoul of the state's lifetime ban is by not being politically active at all," Eyman wrote in his reply. "Such a ban deprives me of all rights protected under the First Amendment." The Institute for Free Speech, in its amicus brief, agreed with Eyman's assessment of what Ferguson is pursuing. "The state's brief spends significant time cataloging Mr. Eyman's alleged misdeeds," the amicus brief said. "But when it comes to marshalling a legal justification for this radical demand, it protests that Mr. Eyman has not 'show[n] that the conduct in question is constitutionally protected'." The amicus brief countered that "the conduct in question is unquestionably constitutionally protected" and doubted Ferguson's case can pass constitutional muster. "In fact, the state insists on nothing short of a prior restraint on protected First Amendment activity, a demand subject to strict scrutiny," the amicus brief said. "And the state cannot possibly meet that standard because a less restrictive path - the millions of dollars in threatened fines that have already ruined Mr. Eyman financially and deprived him of counsel in this case - is available to the state and adequate to its purposes."